Everyone knows how sprinkler systems are an integral part of the irrigation system of any yard, lawn, garden or any other landscape where plant life needs to thrive. But did you know that these same irrigation components can actually serve as an excellent source of creativity and imagination among children? Children just love playing with water. From fountains to the shower to the swimming pool and even to a puddle of rainwater, kids derive plenty of satisfaction in the feel of liquid splashing on their faces and bodies. This gives them a sense of happiness which then provides them with a sense of well-being. These playful devices as well as a wonderful addition to any garden or lawn. This is especially true if you get any of our 5 best sprinklers for kids in 2019. You’ll be creating a magical watery world right in your own backyard. Sprinklers are hot items come a hot summer day. They are great way to get kids active and save on some water. We have reviewed each of the sprinklers on this page to ensure that they meet the criteria of the website. The sections of each of the products have also been updated. The Melnor XT Turbo Sprinkler will keep your lawn looking amazing while also providing your child with a fun outdoor activity. 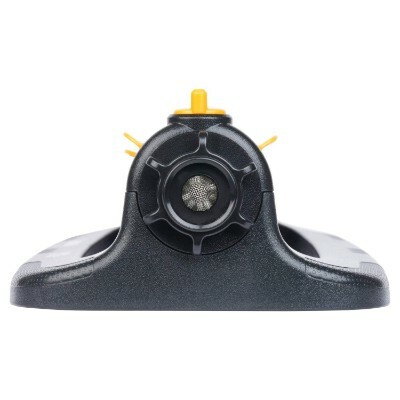 Designed with 20 precision nozzles, this sprinkler is capable of covering up to 4,200 square feet. The wide range of coverage allows your child to run all over the yard. If you’re wanting to limit your child’s area of play to a smaller section of the yard, you can easily use the Twin Touch controls to adjust the range. The smooth running motor provides a gentle release of water so you won’t have to worry about your little one getting hurt. The wide variety of water patterns will enhance your child’s outdoor play. 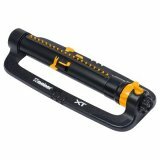 The sprinkler is lightweight thus making it easy for you to move it around the yard. It is composed of a highly durable plastic that will allow you to enjoy it for years to come. The 20 precision nozzles and the Twin Touch controls make it easy for you to allow your child to enjoy the sprinkler in one area or over the entire yard. 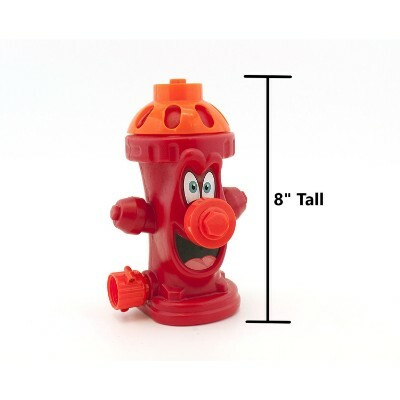 Fun Splashers has modernized the classic design of a garden sprinkler by shaping it into a fire hydrant. This eight-inch tall sprinkler attaches to any garden hose, so your child can enjoy water play practically anywhere. Not only has the hydrant been designed to shoot water up to eight feet in the air but it also is able to shoot water in a swirling or rotating manner. When purchasing, you can choose between a blue, purple, or red hydrant to match your child’s favorite color. Whether your little one is running through or from the water, they will burn off energy and get plenty of exercise. The kid-friendly design will have your child excited to play in the sprinkler. With the water shooting up to eight feet in the air, children of all heights can enjoy getting wet. The Fire Hydrant Garden Hose Splash Sprays are uniquely fun sprinklers that are not only guaranteed to bring lots of enjoyment to kids but can also serve as excellent prop for pretend and make believe plays. The Giant Unicorn Yard Sprinkler takes outdoor water play to the next level. 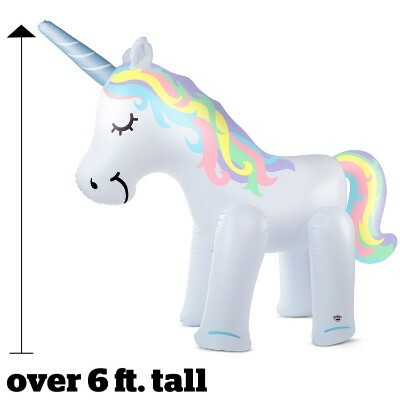 This six-foot tall inflatable sprinkler is in the shape of a unicorn. This mythical creature shoots water directly out of its horn. Setting up is quick and easy. 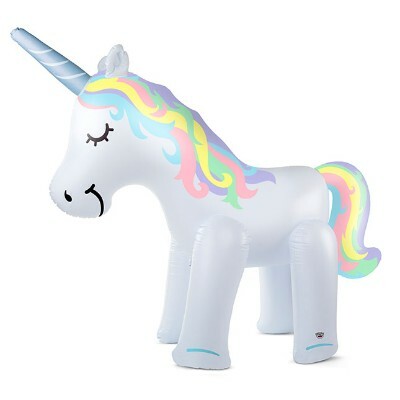 Simply inflate the unicorn and attach any standard garden hose. The water will gently be released from the horn, thus allowing your child to play in a light rain. The height of the unicorn makes it fun more people of all ages. 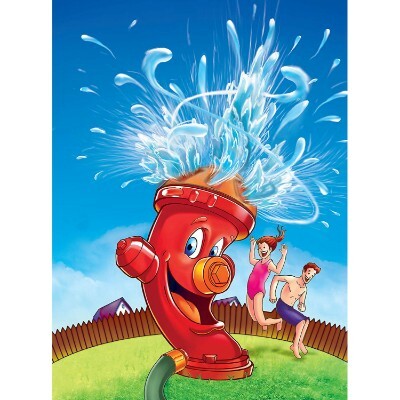 Composed of high-quality materials, your family will be able to enjoy playing in this sprinkler for several summers. With the sprinkler being in the shape of a unicorn, your child will be encouraged to engage in pretend play. Designed with a wide-mouth air valve, deflating the unicorn when your child is done playing will be stress-free. This sprinkler is super-easy to store as it can be folded up and packed away. The material makes it very easy to clean, as you can wipe it down with a cloth. The unique design of this sprinkler will have children of all ages excited to play outdoors. Taking down the sprinkler is stress-free as it can easily be deflated, wiped down, and stored away. 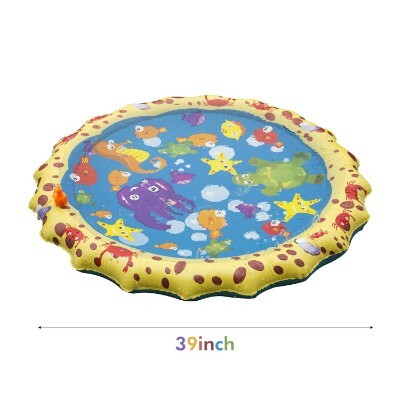 With an intimate 39 inch diameter, and the ability to hold a few inches of water, this wading pool is baby’s new best friend. Little ones enjoy splashing about, and the low-pressure sprinkler system invokes awe in infants and young toddlers still acclimating to the world of water. 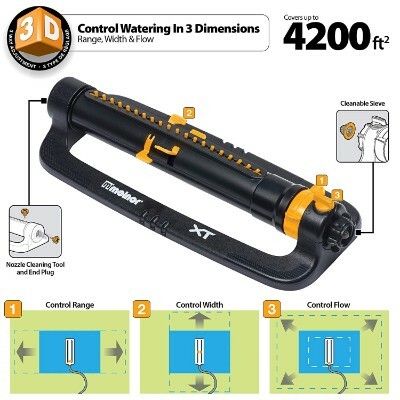 The water mat features a universal attachment that can easily hook up to any standard garden hose. Adjust the water pressure to raise or lower the height of the gentle geysers, and always supervise young ones in the water. If you’re not satisfied, contact Halofun. The company offers a satisfaction guarantee. 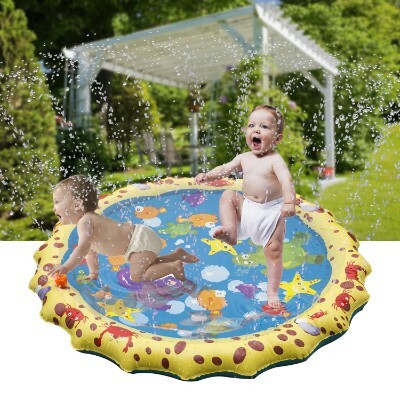 Ease kids into being comfortable in the water with this low-stakes, high-quality wading pool. The slightly raised perimeter allows water to collect, but not enough to scare them, and the soft sprinkler system will have them giggling all afternoon. It’s not as big as Halofun’s 67-inch water mat, but it’s made of the same quality materials and sometimes a more intimate space can be attractive to young children. 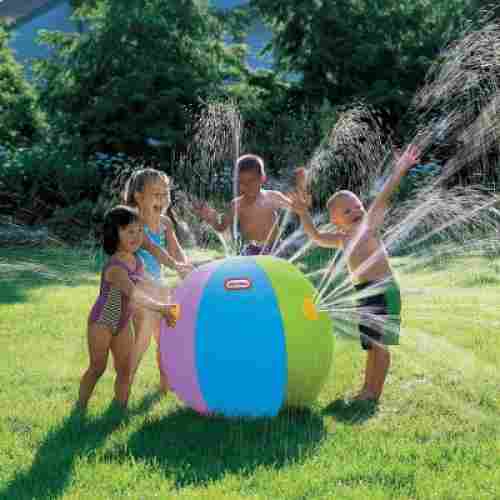 We are definitely going to consider the Mookie Little Tikes Beach Ball Sprinkler as one of the most unique, most unusual kids water sprinkler system. The Mookie is, first and foremost, a very fun and lovely looking inflatable beach ball. It is lightweight and bouncy like any other beach ball that you can find in the market. This is perfect when your kids are simply not in the mood for having some watery fountain fun from their personal children’s sprinkler or when the weather simply doesn’t call for a day of splashing and spraying. Everyone in the family can really have a wonderful time just playing with the Mookie Little Tikes Beach Ball as it is. 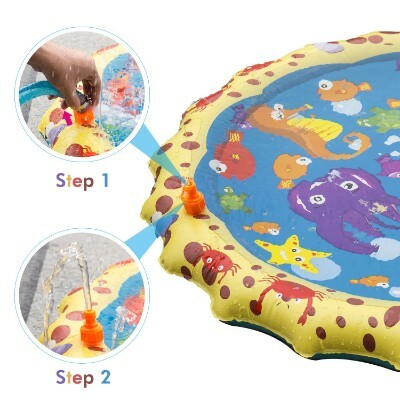 However, when it’s time for some water fun, simply inflate the Mookie Little Tikes, hook it up with your garden hose, and then simply sit back as wonderful sprays of water come out from its water vents. Each water vent comes with 8 holes from which water is forced through. Now, we have come across some comments about the water spray not being forceful enough. For this we highly recommend getting a pressurized water delivery system to create a superbly looking arch of water spewing from the Mookie. The only downside is that, if it can ever be called that, it cannot be stabilized in a single place or position since it does have the tendency to roll. But that’s exactly where the fun in the Mookie is. The tendency to roll simply means the water spray will be spewing in random directions. And if kids are playing water catch, then it will be a great challenge for them. 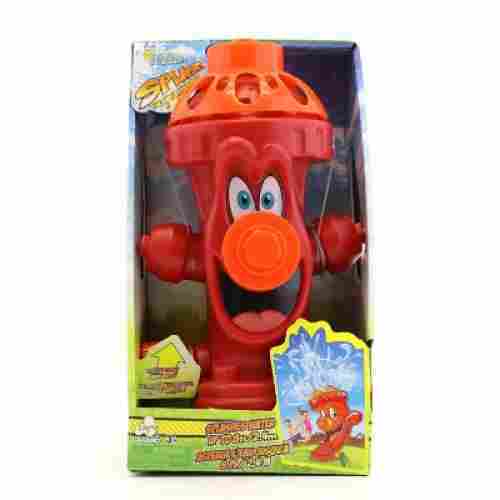 This is another great sprinkler for kids from the Toysmith manufactures. It is very unconventional in that at first glance, and primarily, it has an amazing ball design that kids will fall in love with. The colorful ball bears different colors all around which is quite beautiful to look at. It is very enjoyable for just ordinary plain fun around the house, yard, etc. until you connect it to a hose. It then transforms into a wholesome ball of watery fun for everyone! It has holes that spray water which is located along its sides. The ball is big in size and stands at 88”. Setting it up is a breeze because all you have to do is to inflate it, and connect it to a water hose. Some variations come with built-in lights that make this toy a blast both in the day and during the night time. The dual purpose nature of the Mookie Little Tikes Beach Ball is surprisingly amazing. It gives children the versatility to choose how to play with the Mookie. This list was made after careful evaluation of the various factors that affect consumer behavior when it comes to buying children’s toys. Most parents or guardians are concerned with the price, design, ease of setting up and the extent to which the toy will add fun to water play. These toys meet all these requirements to a T. Their cost is within the range that most parents can pay comfortably and some of them are two games in one which will give you value for money. They are quite easy to put together and won’t take up much of your time trying to understand how they work. They have a great potential for making play time exceptional, particularly the ones with multiple outlets. They are also made in amazing designs. 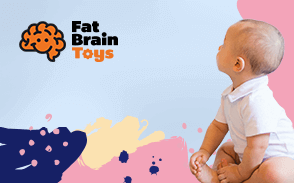 The designs of the toys we have recommended to you are quite creative, thus they will help stretch your child’s imagination and fascinate them at the same time. They are also colorful which will resonate well with children because they are attracted to colorful things. Another factor that we have put into consideration is safety. All the toys mentioned above are safe for your children to play with. They are also made with material that will not injure your child in case they slip and fall on it as they are running around and they do not have sharp edges. We had to keep on reminding ourselves that the sprinklers we’re supposed to choose were for kids and not really for irrigation purposes. That said, we considered the toy-like features and qualities of the different products that are available in the market. For us, it simply wouldn’t mean anything if it didn’t bring a smile to the face of kids. This is very important. Of course, we did not only rely on our subjective evaluation of the relative usefulness and fun factor of the kids' water sprinkler. We also read both the positive and negative comments of customers about these products, especially the way their children responded to the water toys. If the negative comments were prevalent across a good number of customers, then there was simply no way we’re going to recommend the product to you. The ease of set up was also considered. Since these are, technically, just like any other sprinkler system, it was imperative for us to include only those that work easily with existing garden watering systems. Company reputation rounded up our selection process. We believe that good companies make good and safe products. So we’d like to stick with this philosophy. That using a sprinkler on a hot day is a efficient way for the kids to cool down. Sprinklers use far less water than filling up a kiddie pool and maybe more fun. Allowing the kids to play in the sprinkler during the dry hot summer months is also a great way to water the grass and surrounding plants. Kiddie sprinklers are just one of the toys that can help kids develop optimally. Like all other types of play, water play is important in children’s development. These provide physical, cognitive, social, and emotional benefits that children can use later on in life, making them grow to be more successful individuals. Here are some of the more important benefits of water play for children. Aids in physical development. Running around sprinkler systems, jumping for joy, and trying to catch water being spewed out of the nozzles all help to develop motor coordination, spatial intelligence, balance, and reflexes. Fosters creativity and imagination. Kids can pretend to do a lot of things with water. They can pretend to wash the car, play the role of a firefighter, or even live in a magical castle with beautiful fountains and streams. Sprinklers are not just for keeping your landscape looking fresh and pristine. These gadgets can also serve as great tools for stimulating children’s creative tendencies, problem-solving abilities, and social and emotional development. With these 5 best sprinklers for kids in 2019, you can ensure these and a whole lot more. q: Will the sprinkler use more water than I am currently using? No, the sprinkler uses less water than some household appliances but provides more fun for your kids. q: Does having the sprinkler save time? Yes. The sprinkler is easy to set up or connect. It takes less than a minute to set it up and start giving your kids the fun they crave. q: Will the sprinklers be firm enough and safe for my kids? The sprinklers are firm and will sprinkle water to the desired directions that your kids direct them to. It is easy and completely safe to use. You have absolutely nothing to worry about. q: What are the components of the sprinkler? 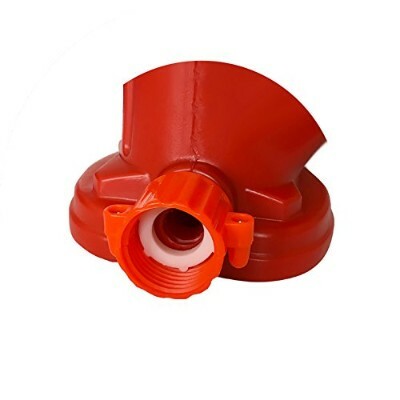 The sprinklers are made from environmentally friendly rubber and plastic materials. They can wiggle without causing harm. The materials are high-quality and durable. q: Can the kids connect the sprinklers on their own? Yes. But only kids who are old enough, like 4 years old and above, can grasp the connection procedure. Note that there are sprinklers that need no connections at all. However, all the sprinklers are easy to connect. q: How much will the sprinkler cost me? The prices of the sprinklers are displayed next to the products. You can sample the prices and choose the most convenient for you or most affordable. 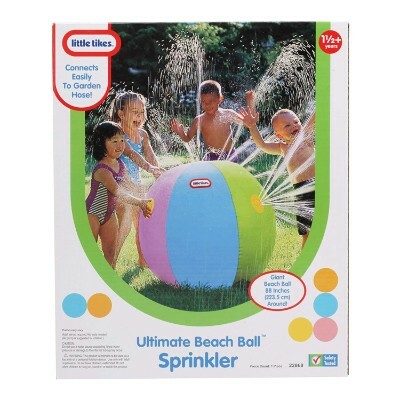 There is a variety of fun sprinklers for kids available. Thus you will definitely find one that suits your budget. q: Will my kids have difficulty operating the sprinklers? Not at all. All the sprinklers are easy to operate, and they can operate them without your supervision. Therefore, you can go ahead and have fun on your own or do some household chores as they kids play in the yard.